What Equipment Do I Need to Make Movies? I’ve always been interested in TV Production and am thinking about writing a grant to start one. Our school has no funding for this, so I don’t even know where to start. What equipment do I need? How much will it cost? I’ve learned that nothing goes out of fashion faster than equipment recommendations. However, here are my best recommendations for today. Your iPhone, iPad, or iPod Touch with iMovie installed is all you need to start making movies. $200-$500. You will also need editing software, either iMovie (free with any Mac) or Final Cut Pro X ($300). The T3i shoots excellent video in low-light situations. However, you may wish to add some lighting to your setup. Author mrneedlemanPosted on November 5, 2012 Categories Digital Storytelling, Educational Technology, Media Literacy, Video in the Classroom1 Comment on What Equipment Do I Need to Make Movies? I’m pleased to announce that my keynote presentation for the K12 Online Conference is now live and will be archived indefinitely so you can watch it whenever. In this fifteen minute presentation I share a little bit about how taking photos with my phone sparked something of a creative renaissance in my life and talk about my thoughts on how this might apply to our classrooms. I am very much interested in your ideas as my thinking on the subject keeps evolving. Please leave your comments below. The K12Online Conference is on now (and forever). The conference is free and asynchronous…this means you will never “miss” it, you can watch the presentations whenever. I’ve presented twice for the conference before, my favorite being Film School for Video Podcasters in which I play a detective and explain how to make better classroom movies. This year I was asked to be the keynote speaker for the Kicking it up a Notch strand. I’m not wearing any costumes this year but I do speak from the heart about what taking photos with my phone has meant for me, nothing short of a creative renaissance, and explain the implications that this could have for our classrooms. Please take a moment to view my 30 second teaser trailer. The actual presentation goes live on 10/29 (but remember, you can see it any time after that). Periodically, I like to reintroduce myself to blog/newsletter readers and (re)define the purpose of this blog/newsletter for those of who may be joining this program already in progress. In addition, a couple of recent developments will be new to almost everyone. I want to thank subscribers to this blog. Many of you have subscribed via the e-mail newsletter link on Open Court Resources.com or Treasures Resources.com. You may not know that what you’re reading is a blog at all, but thank you! Blog reading is pretty painless, isn’t it. I’m Mathew Needleman. I’m just one guy, a teacher and sometimes filmmaker. I write all the content on this blog and do not accept guest posts. The most prolific periods of my blogging have been while serving as a Literacy Coach and Intervention Coordinator in the elementary grades during which time I blogged about things like reading comprehension, reading fluency, and writing with a dash of technology thrown in occasionally. I was recently hired as an Instructional Technology Specialist. I assist 130 schools with integrating technology into their curriculums particularly in support of the Common Core Standards and Language Learners. I’m still focused on good instruction but my focus has widened to include not just language arts and all grade levels K-12. The focus of my blogging going forward will likely shift to include more technology but only as it relates to instruction. I’ve never been interested in technology for technology’s sake. If you can do it better with a pencil and paper, please do. I maintain a number of additional web sites. I’ve made the decision to revive my dormant independent digital film studio, at Needleworks Pictures.com. Needleworks Pictures hosts my personal artistic pursuits unrelated to education and will have more information about my latest moviemaking project shortly. I’ve spun-off all education endeavors (Open Court Resources.com, Video in the Classroom.com, and this blog the most popular among them) and linked to them all from Needleworks Education.com All of my web sites are free but sometimes advertiser supported. No advertiser support has ever influenced the content of any of my pages. In addition to web sites, I also make iPhone apps which are not free and quite costly to produce. More information about the apps is available at the Needleworks Education site. Although I don’t intend to ever post anything offensive or controversial, it’s worth noting that although I work for a school district, everything I post here is my own opinion and not the opinion of my employer. I am an Apple Distinguished Educator. I was chosen for this program because of my fondness for Apple products. I am not required to post about Apple and only do so when I choose to. I am allowed to be objective in posting comments about Apple products. I’m a member of the Adobe Influencer Program. In exchange for passing on some information about Adobe news I’ve been given something akin to advanced press access to some Adobe announcements. I thank everyone for sticking with me, particularly in this long dormant blogging period. I hope to have new content soon. If you have any questions, feel free to post them below. I’m about to start production again on both a classroom video project and an independent short movie outside of the classroom. The planning stages are an exciting time, especially after taking a break from moviemaking for a couple of years. This is the first time I’m shooting without tape. We’re using a DSLR with interchangeable lenses. And it’s the first time I’m shooting with the aid of both an iPhone and iPad. The iPad wasn’t even invented the last time I made a movie. It’s amazing to see how the iDevices are changing the filmmaking process. I had the opportunity to receive evaluation copies of three iPad apps that I have included for a long time on my app wish list. Each app currently costs $29.99 so they are relatively expensive as far as apps go. I’ve been working with each of them for about two weeks and I’ll explain here what they do so you can make a decision on whether they would help your production. With Director’s Viewfinder, you select your camera and choose the lenses that you own. The app shows you how much of the image you will see (referred to as Field of View) when using lenses of different focal lengths on your camera. Most DSLR cameras crop the image because of the relatively small size of their sensor. This app corrects for that cropping and shows you precisely what you’d be seeing with your lenses. On a single screen you can see what the scene would look like when using any one of your lenses. This is much easier than changing lenses on a DSLR multiple times to find the best lens. You can also take a picture of the scene at a particular focal length and record information about the focal length on the frame. The captured frames can be used within the Storyboard app below to show you exactly what you’re going to see on screen or you can simply print them out or e-mail them to crew members. Physical Director’s Viewfinders can cost hundreds of dollars and this app is far less than that. If you are using a DSLR as your camera, this app is pretty much indispensable. We are using it both for deciding which lenses we will need to purchase and to plan out our shots. It’s been practical as well as educational. I am used to shooting video with a fixed lens so I have a lot to learn about focal lengths. I’ve fired up this app several times just for a refresher on how different focal lengths would affect the image. Director’s Viewfinder from Artemis is not universal so you would need to purchase both the iPhone and iPad version if you need both. The iPad real estate makes for a far better app experience but then again, the iPhone camera is generally easier to use and of better quality than the iPad’s camera. Storyboard Composer HD is the app that I imagine would be most valuable to typical classrooms doing moviemaking. You take a picture of a location (ideally the location where you’ll be shooting) and then you can insert people into the image. You have the option of inserting men or women and positioning them forwards or to the side. You can also easily simulate camera motion (pans and zoos). We’ve been using the app in combination with Director’s Viewfinder…inserting images shot with Director’s Viewfinder into storyboard composer and completing sample storyboards there. You can easily export PDFs of your storyboards which will be helpful for sharing boards with crew members. Storyboard Composer HD is universal so you only need to buy it once for iPhones and iPads. The bigger iPad user interface provides a better ease of use. However, as I said, unless you have the newest iPad, photos you take with your iPad will likely be a little grainy and so the iPhone is preferable in that respect. I still haven’t decided if it’s easier to storyboard using software or using paper and pencil but I am someone who has had much experience with the latter. If someone has never storyboarded before this is an excellent tool for teaching them how to do it and it provides an advantage in terms of accuracy, sharing potential, and and clarity of vision. It’s clearly the best software storyboarding tool I’ve used so far. Whereas the other two apps are useful in the preproduction stages of moviemaking, Movie*Slate is for your production use. Movie*Slate is a digital clapperboard and has many advantages over a chalk clapperboard in that it automatically advances the shot numbers and provides the time onscreen. Although Final Cut Pro X has a feature to automatically sync audio and video captured from two separate devices, in the event that anything goes wrong it will be invaluable to have the accurate time information provided by this app. The app also allows you to take notes after each take which will help in the editing process since those notes can be exported. There are several bonus features like screens for focusing and setting exposure. The app can also be greatly expanded through in-app purchases for sound and timecode which I haven’t tried. Movie*Slate is universal but the small size of the phone probably makes for a less optimal experience if you need to be able to read the text on screen of your video camera. It’s awesome when you find that there are apps that can transform the iPad into new tools. All three of these apps are well designed and provide useful functionality for your production. The apps work well as a team but if you can only afford one you must decide what your production needs are and what can be accomplished (albeit less efficiently) without the apps. If you have any questions about the apps I’m happy to answer them below. If you have movie making apps you’d like to suggest you can leave them down below as well. My latest creative interest has been iPhoneography. Last year I purchased a DSLR camera, lenses, cases, accessories, and more. I took a class and I’ve even gotten pretty good at using the manual settings. However, on a recent vacation I found myself reaching for the phone much more often than I did the DSLR. It’s small, it’s fast, and it’s immediate. I would take photos with the iPhone, have them transfer wirelessly via Photostream to my iPad back at the hotel and then edit the photos with the iPad. The DSLR photos are certainly sharper and the lenses give me much more flexibility than I have with the iPhone. However, I much prefer the editing apps on the iPad than my desktop tools. The tactile nature of touching and swiping make it a breeze to quickly add effects. My favorite photo editing apps are Photo Wizard HD and Snapseed. Both apps are frequently available for free if you wait long enough. The best app for sharing photos is Instagram. With Instagram, I am able to quickly share photos to Facebook, Twitter, and Instagram’s built in social network. The feedback, or lack thereof, from other users encourage greater picture taking. My photos are now so much more dramatic and I feel like I am have photographic success. I am trying to post at least one photo per day. I find that the process of taking pictures is leading to greater creativity overall in my life. Imagine what it could do for your classroom. 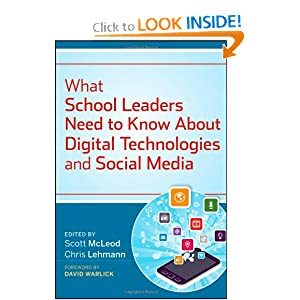 I’m honored to have a chapter I authored on integrating digital video production in the classroom published in the just-released hardcover book, What School Leaders Need to Know About Digital Technologies and Social Media edited by Scott McLeod and Chris Lehman. The other chapters are written by several of the educational technologists whom I’ve come to admire and respect through their blogs, presentations, and work in the field. The book is arranged in easy to digest chapters on relevant subjects you can read or reread when you’re ready for them. I recommend it for principals, tech committees, and teachers who have an interest in transforming education. Here is my updated list of Royalty Free Resources for multimedia projects, including photo and music options. I’ve also included this list as a permanent page on my blog, accessible on the right hand side under pages. I’ve tried to list only options that I’ve actually used. Most of these royalty free options require attribute i.e. credit to the author. It’s always safest to credit the author somewhere in your project…a footnote in print materials, a credit in a movie, or a credit slide in a powerpoint are generally sufficient. I always start here in the classroom because there are no inappropriate images and the site is simple enough so that I have taught first graders to navigate it. This is my second destination when I can’t find what I’m looking for on pics4learning. They are not necessarily for educational use but are available free and taken by real photographers who are willing to share their images. 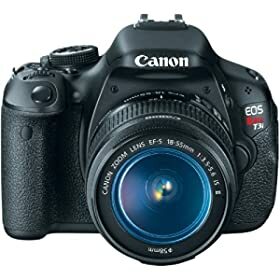 has images taken by photographers of different abilities (amateur and professional) which you can use according to their Creative Commons license. If you still can’t find what you want or are going to use your images in commercial projects, why not pay $1 per photo and use the image legally? These site has pictures of almost anything you would want. This guy has great movie music that’s easily searchable by mood and style. I don’t know how he makes a living cuz he’s giving good stuff away for free. Free music selections. Great stuff for movie soundtracks. I didn’t find anything that I used from here but it’s another option. Requires registration. This site contains music and video that is supposedly in the public domain…I have found a few examples on the web site that are not in the public domain and so I’m a little bit hesitant about using some of the material in video projects. Nevertheless, this is a great web site with tons of material. It’s time once again to highlight some of the best posts and resources I’ve seen in and around the blogosphere that feature video production and digital storytelling in the classroom. Karen Thompson shared these movies by Cindy Huson which are a simple yet ingenious and amusing way of teaching vocabulary words. Steve Katz has a fun video production of Paul Revere’s Ride, The Minutemen. Ann Oro shares a sixth grade example explaining population density. Brian Crosby has several examples of science demonstration films. Kevin Hodgson shares Scenes from a Digital Storytelling Project. This post has several parts and they’re all worth reading. Kevin shares with great honesty the process of making movies in class including problems of technology and classroom management. Mr. Mayo connects his students via Skype to another classroom making movies to learn about the process of filmmaking and posting those videos online. Anyone starting out with making video in the classroom can benefit from what the students themselves share about the process. Silvia Tolisano of the Langwitches blog shares her experiences using a green screen in class. Dean Shareski explores the pain of a bullied students’ internet pleas in a post that speaks to the power of video as a form of communication sometimes more powerful than the written word. On a related note: Should you let teeny boppers be Youtube Stars? Richard Byrne provides this free printable guide to making movies on the web. Lifehacker offered a complete beginner’s guide to editing movies. In a case of be careful what you wish for, special education teacher, Elona Hartjes shares what happens when her district finally unblocks Youtube and she struggles to develop an acceptable classroom policy. 7 Great Cell Phone Videos. Use what you likely have readily available in your classrooms. The Film Techniques of Alfred Hitchcock. These are great. You too can shoot like you know what you’re doing. Here’s a late 90’s Beverly Hills high school musical version of Star Wars. Great fun if you like Star Wars and musicals. 12 Gorgeously Designed Vimeo videos from Mashable. Thank you to the teachers who’ve shared their work online for everyone to benefit. Please feel free to share your own links in the comments. For my upcoming presentation, “Digital CPR: Bring Your Reading Series to Life with Technology” for LAUSD’s Best Practices Conference on March 19th, I created this illustration which I will use to talk about higher level technology use. I will talk about incorporating multimedia in the classroom as something all teachers should be doing but I definitely want teachers to know that they shouldn’t stop there. To reach high levels of engagement, thinking, and to narrow the digital divide, teachers must turn technology over to students and guide them as they become their own content producers and influencers on the community outside the classroom. To put it in more practical terms, if a teacher wants to hit all the levels of the “Technology Taxonomy” they can make sure that their students blog, podcast, and engage in video conferences. I’ll talk about all three in my workshop. If schools opt to make student writing and podcasts, password-protected then they prevent students from reaching the highest rung.